Registration for the Escapist Expo Is Now Open! Come to North Carolina to rub elbows with all your favorite Escapist contributors and staff members for a weekend! We here at The Escapist are super excited about meeting the community at the first ever Escapist Expo this September in Durham, North Carolina. If you're looking forward to it as much as we are, we're happy to announce that tickets for the event are now on sale! If you only intend to show up for a single day, a pass will run you $15. If you'll be joining us for the whole weekend, you can save a little dough by buying a three-day pass for $30. Those who register early will be automatically upgraded to a VIP pass, granting them early-access seating to both Movie Night with MovieBob and Gavin "Miracle of Sound" Dunne's live performance of the awesome game-inspired tunes you know and love. This complementary VIP access will only be available for a limited time, so the quicker you work out your plans the better! We hope to see you with us in Durham from September 14-16, because it's going to be a blast. 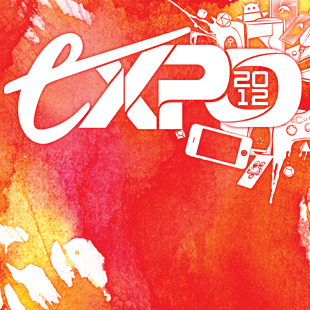 For more on the Escapist Expo, check out our full announcement or head on over to the official site.